Winegrowing on the island of Pico, in the Azores, began in the late 15th century, when the settlement of the island began. It was brought by Christian monks and oriented towards the production of wine for homilies. After several attempts, the monks were able to produce a fairly sweet wine with a magnificent golden color, which quickly became very popular in aristocratic families. Thanks to the volcanic soil, rich in nutrients, to a dry and warm microclimate and to slopes protected from the wind by rough and dark stone walls, warmed by the sun’s rays, the grape variety Verdelho found in the island of Pico exceptional conditions for maturation. Later, the wine of the island of Pico was exported to many countries in Europe and America, and came to the tables of the Russian court. 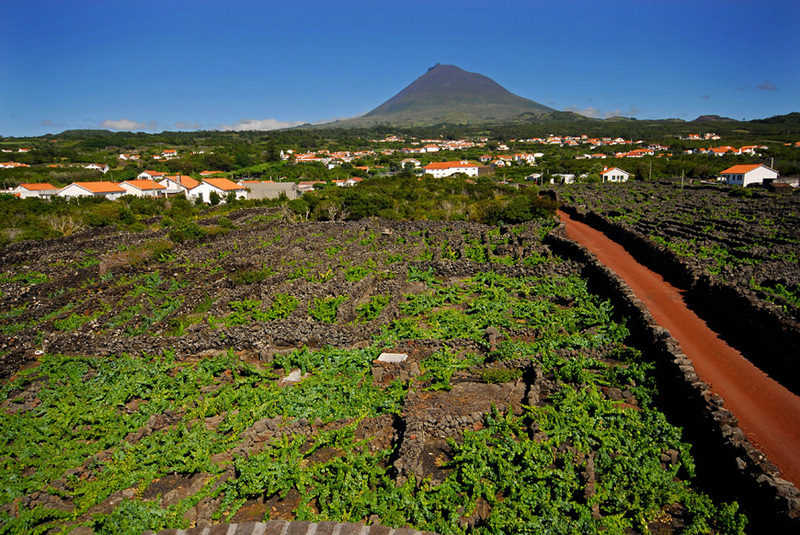 These terrains, Landscape of the Pico Island Vineyard Culture, a mix of lava nature and ancestral cultural practices, were classified as World Heritage by UNESCO in 2004. The sites of Lajido da Criação Velha and Lajido de Santa Luzia are the greatest examples of this ancient art of parcel the land. 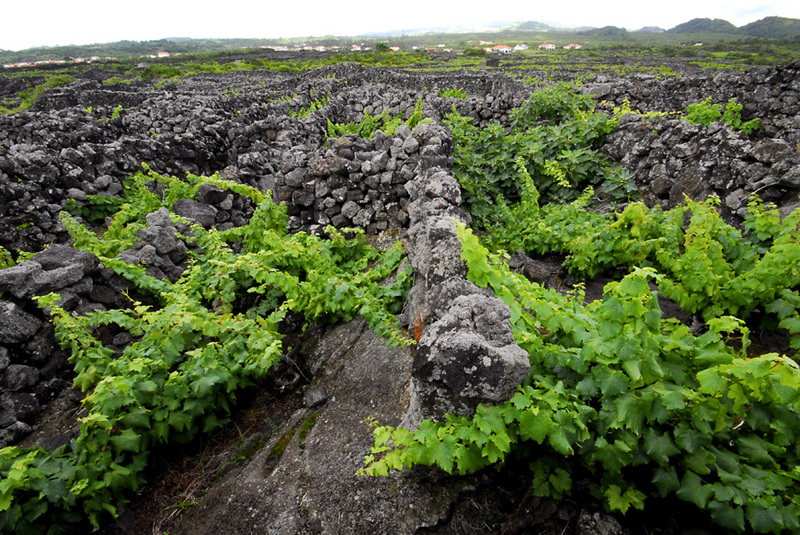 These vines planted in the ground lava are framed by tight walls of loose stone, called "currais" or "curraletas" which protect the grapes from the sea winds while letting the sun necessary for its maturation.